On my new job, I get to work with some people who are in or from Peru. 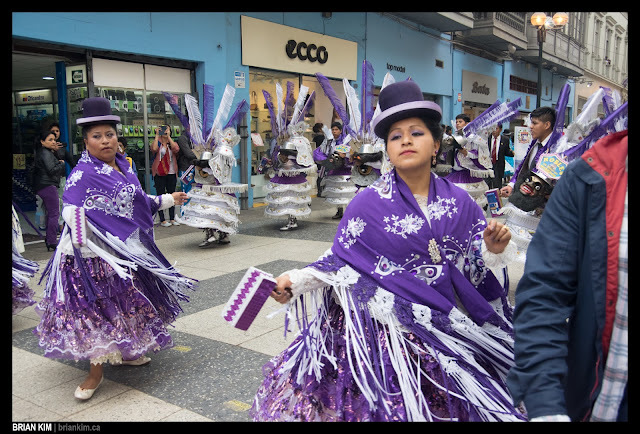 Working with them has brought back fond memories from my trip to Peru, which has encouraged me to write a follow-up post on my Peru series of posts. 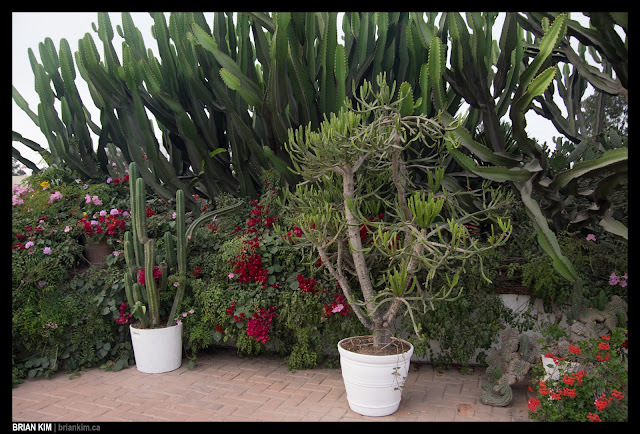 We booked an AirBNB in Miraflores, which is one of the more affluent neighbourhoods in the city. 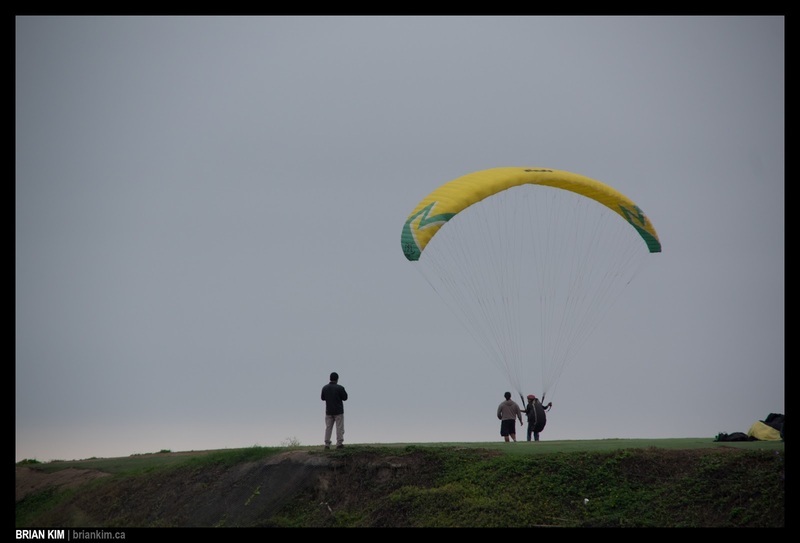 Upon arriving in Miraflores, I could immediately notice the paragliders ready to soar through the sky, just I had seen in many videos while researching for the trip. Had I more time, this is something I likely would have tried, as I tend to seek thrill every chance I get. 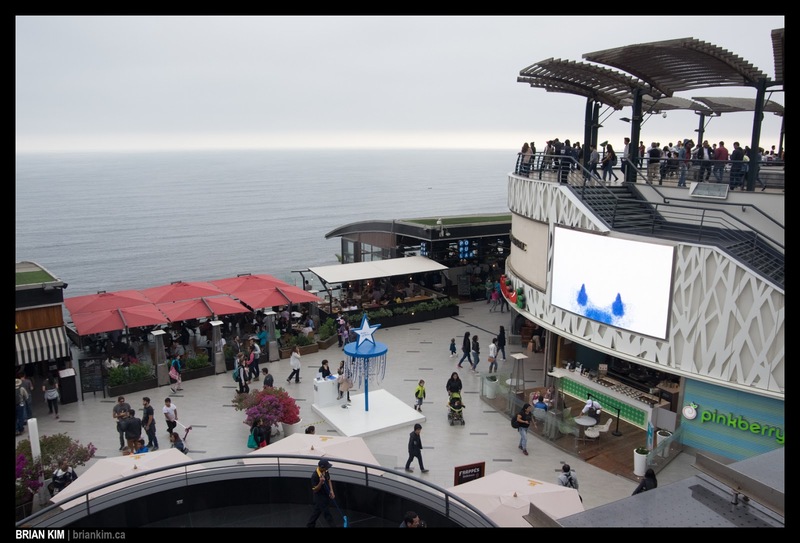 We then slowly made our way through Lancomar, which is the mall right on top of a cliff overlooking the Pacific Ocean. 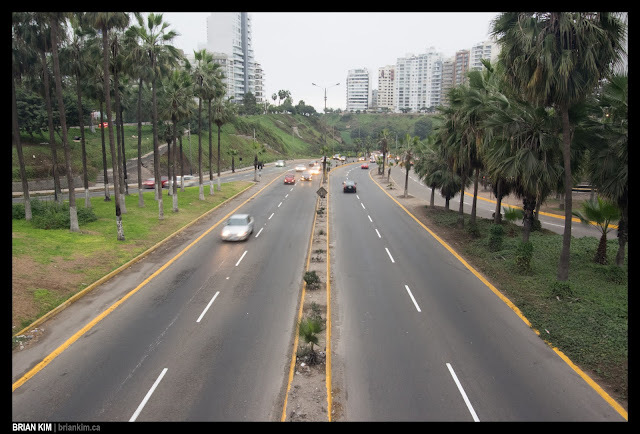 There were many stores that you would come across in US and Canada, and we settled for a cheap Peruvian fast food and started heading towards Barranco. 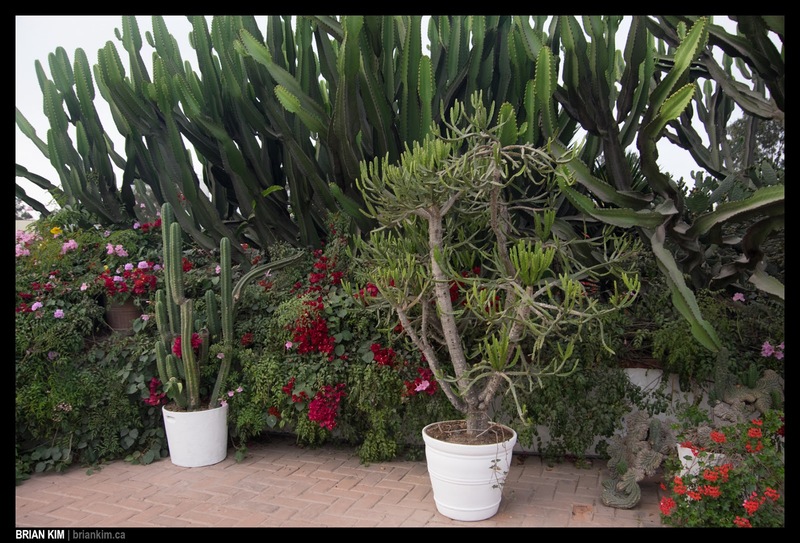 The walk to Barranco wasn't long, but it gave me enough time to stop at places to appreciate the lush vegetation covering the canyons. 2. 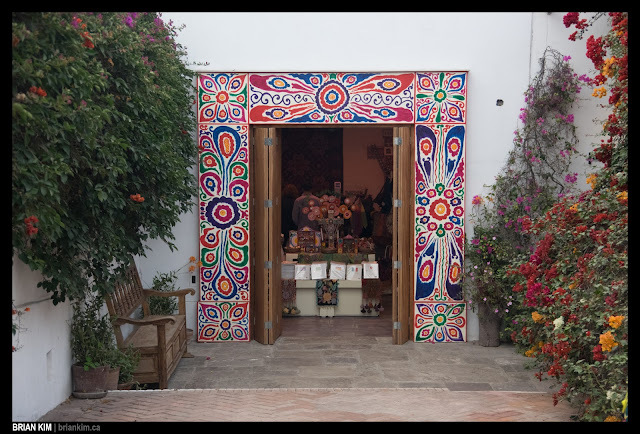 I got a sudden onset of a stomach cramp, which was too bad because we went to one of the best places for Antichuchos in Barranco (think meat skewers), and all I could really eat were Peruvian corn and chica morada. 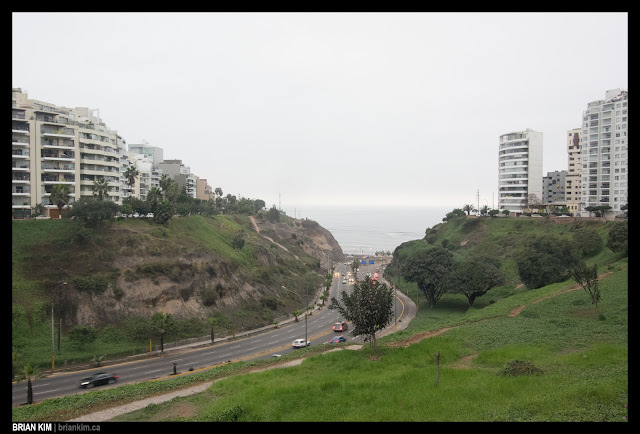 The next day, we decided to explore the more central part of Lima; but first, we decided that it was time to get a SIM card for emergency use, which didn't turn out so well because it barely worked. There were a lot of parades when we were in Peru, and in every city that we visited (Lima, Cuzco, Arequipa, and Puno) we would have come across one had we stayed long enough. 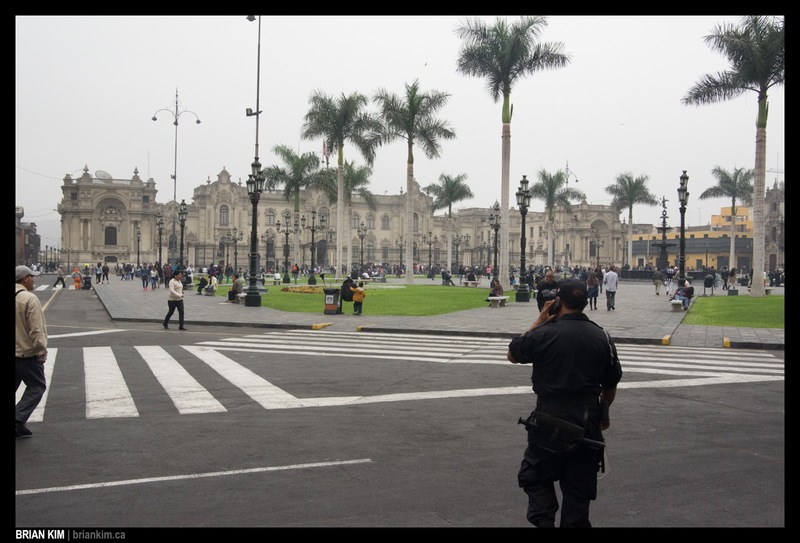 Plaza de Armas, which in present-day translates into the main square. has colonial heritage and could be found in all the cities that we went to. We were lucky enough to witness the change of the guards at the Government Palace seen in the background. 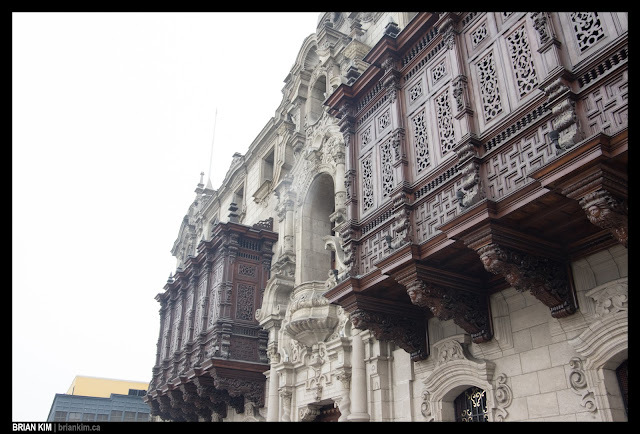 Plaza Mayor, which is another name for Lima's Plaza de Armas, also has other architecturally interesting building, including the Archibishop's Palace shown in the photo above. 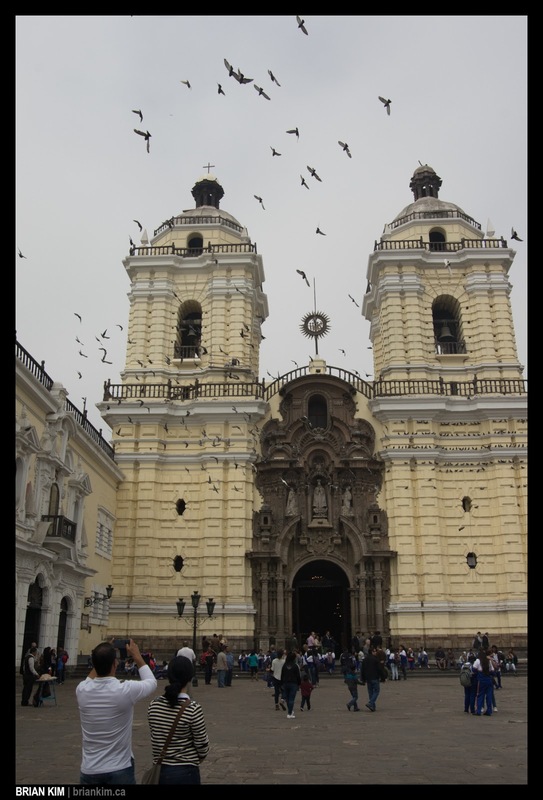 Our last stop in Plaza de Armas was the Monastery of San Fransisco, which did not allow photos inside. There was a catacomb underground, with remains of people whose names history and time have forgotten. We finished our visit to Lima at Larco Museum and Huaca Pucllana, exploring history and culture of Peru, which is befitting because the next post will be on Cusco, the historic capital of Inca Empire.